Click on Pieces in the left-side menu. 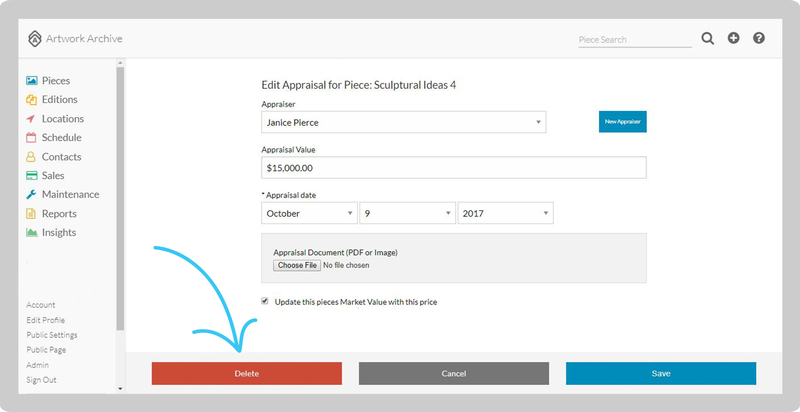 Click on the Piece with the Appraisal you want to edit. 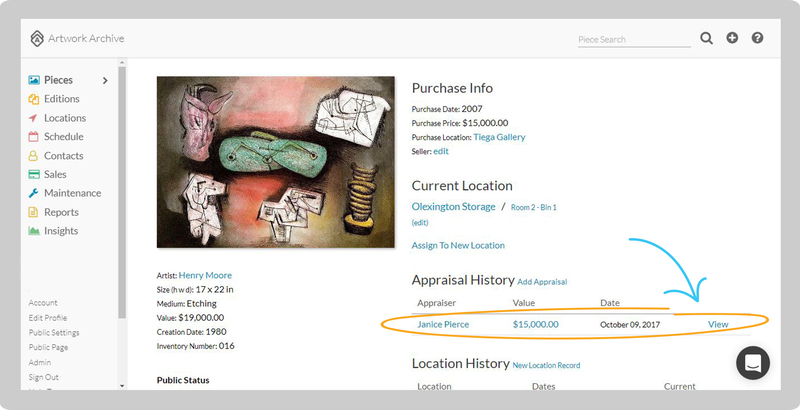 Go to Appraisal History on the right and click on the Appraisal. Then click Delete. The records associated with the appraisal will be deleted, but the Appraiser Contact will still be in Contacts.